or a back pained person? (either you suffer from back pain, or are a clinician wanting access to evidence-based skills). 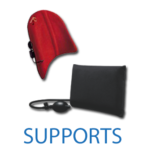 This website provides evidence-based information and quality products that help to prevent and rehabilitate back pain. All back pain has a cause. Professor McGill dedicated 32 years to investigating how the spine works, the mechanisms of pain, and proven ways to eliminate pain and restore pain-free activity. The key to pain-free activity is to assess the pain mechanism and employ a matched therapy. Some pain sufferers can perform this themselves with guidance from the book Back Mechanic. Others are more challenging and obtain clinical expertise from highly trained clinicians listed on the Master Clinicians page. Clinicians can also access Professors McGill’s latest books and videos guide the assessment together with providing helpful information and rehabilitation approaches for pain-free activity and optimal back performance. His approaches have restored the lives of thousands of people like yourself. In addition, his work is well known among public celebrities and athletes worldwide for assisting them to be successful. Receive emails from the desk of Professor Stuart McGill. You will receive short informative pieces from Prof. McGill, the latest evidence based resources to reduce debilitating back pain, McGill Method course announcements, and other Backfitpro news. Thank you for staying up to date with us! There are 4 books which are all different. Learn which book is best for you. Back Mechanic will guide you through self assessment then teach specific exercises like the McGill Big 3 matched to your specific pain. 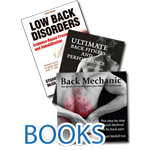 Ultimate Back Fitness and Performance (6th Edition-2017) gives the latest scientific evidence on back pain exercise – what helps, and what hurts, and why. If sitting creates back discomfort you have a highly sensitized back, or tissue damage, or both. Avoiding this pain trigger will reduce the pain sensitivity. Avoidance of the pain triggers is part of the strategy to de-sensitize back pain throughout the day as evidenced in Back Mechanic. Clinical training courses & seminars. Courses are available “in-person”, Click below to view the course descriptions and the course schedule. About 6 years ago, my lower back was giving me such severe problems to the point where I wondered if I could still keep working. Then somebody told me about Back Mechanic by Stuart McGill. I read it and incorporated the exercises in that book and it helped me get over my lower back pain. Even today, before every workout, I still continue to do the exercises at a minimum 4-5 days per week. I can’t thank this book enough! Dr McGills scientific work has proven instrumental in our movement preparation to improve performance, create more robust athletes, and so critical in the return-to-play portion of the rehabilitation process for back injured athletes. In fact my Guinness world record deadlift of 1001 lbs was competed after incurring disc injuries early in my career that I recovered from using his principals. Every athlete and coach needs to understand the foundational scientific approach McGill teaches. After injuring my back in 2013 I searched for the best doctors and info to help me get back in to fight shape. I spoke to many doctors, tried many methods and read tons of books. None of it really got me over the hump until I came across Dr. McGills books. Since then I have studied Dr. McGills writings and I’ve been fortunate enough to work him in person also. There is not a single person that would attribute my back relief to more than Dr. McGill. My back and core feel stronger and more resilient than ever before. I have used the teachings of professor McGill to assist top golfers to hit further for longer. His principles to enhance back fitness are well validated with the athlete careers he restores. I can’t say enough positive things about what I have learned from Dr. McGill. For 10+ years I was injured and broken from a back injury. This set back my training and put my life on hold. I could not lift do any heavy activity. I thought I was done. 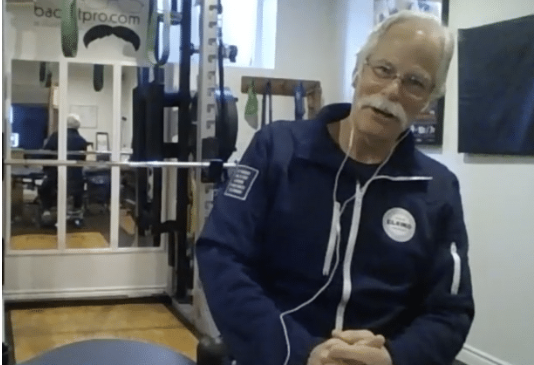 After meeting Dr. McGill and applying his approaches I was able to re-build my back and get back to competitive PowerLifting which I was told was impossible. As a pro tennis player, back pain was ending my career. I was told I needed surgery. Professor Stuart McGill and his book Back Mechanic got me back to functioning at 100%, his method is truly a miracle. After meeting with Dr. McGill and starting my rehab following his method, I quickly felt an improvement with my pain symptoms as my core became stronger and my spine more protected. He also taught me new biomechanics for my back to get rid of the fragile feeling and my pain. And I was able to return to tennis competition, something I couldn’t dream of happening! He had no doubts in my successful recovery and made me believe in it too! After seeing you my back has been excellent. All your advice, my continuing the Big 3 core exercises, and the auto mechanic’s stool for my desk have brought about a profound change in my comfort and ability to resume the things I love to do, like hike, ski, and write for long hours. Your advice on recuperating from my lower back surgery was also invaluable. From not being able to walk more than ten minutes without numbness in my right quad (and having to stop and find a convenient rock or bench to hang from), I’ve gone to hiking more than six hours at a stretch while carrying a 25-pound hunting pack and climbing and descending a thousand meters. I’m thrilled. Thank you! Thank you! I’ve been recommending Back Mechanic left and right. 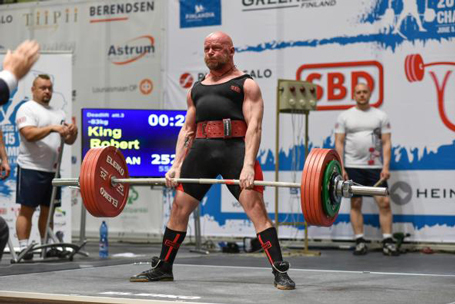 After being the first to pull a 1000 pound deadlift I found myself struggling after some back and health issues. The pain caused me to loose hip and back power. 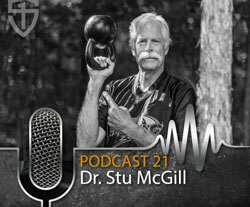 Stuart McGill and his books showed me the way to rebuild a foundation to train then unleash my hips to regain training ability. I am grateful – thank you. I wanted to send you this video to thank you. Having worked with yourself and Brian and implementing the ideas and principles that you instilled in my training and coaching, has absolutely changed my life. 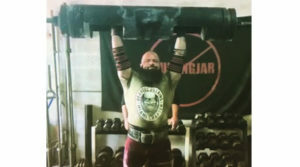 Here I am log clean and pressing 300 pounds after starting “Back Mechanic” and “10/20 life”, 21 months ago.. after being told I would never overcome my devastating back injury. Thank you for everything. This last weekend Ethan punched his ticket as a ND state champion. We want to thank you for your professionalism and very kind and generous heart, you gave up and above what any Doctor would have given. My wife and I along with Ethan want to thank you for a job well done. This week I won 75+ age division at the World Masters Squash competition. This would not have been possible if I hadn’t had the good fortune of encountering Dr Stuart McGill. Having previously broken my back twice, I had reached a stage of desperation characterized by constant pain, utter fatigue, inability to sleep and an almost total loss of quality of life. Visits to GP’s, specialists, chiropractors and physiotherapists were not helping and actually making my symptoms worse. Opioids and surgery were on my horizon (when faced with constant pain, you are willing to try anything). 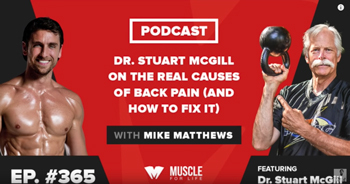 At that point, I was able to get an appointment with Stuart McGill, a renowned lower back expert at the University of Waterloo who was treating professional athletes for various types of serious back issues. The rest is history. I went from someone who couldn’t sleep, couldn’t walk, couldn’t smile, and who couldn’t think of anything other than pain to someone who began to walk again, smile again, bicycle again and, unbelievably, to start playing squash again. So this first thank you is to you, Stu, for your dedication to science and for making me whole again. As you know, I have since become a McGill disciple whenever I see or hear of someone with lower back pain. 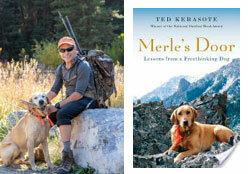 First I want to say thank you for sharing your story in your book Gift of Injury. 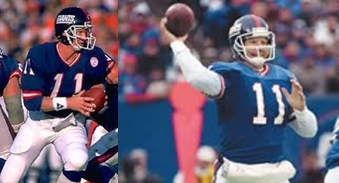 I was in Texas a few months ago, and Ed Coan told me to read your book. It has given me a new outlook and helped me get back on track. On top of being a powerlifter, I am a 22 year still serving Army Ranger that has been jumping out of planes since 1996. My spine has endured a lot of impacts. In the last few years, I have slowly gotten worse and got to the point of giving in to the medical professional of looking at getting cut or even being medically boarded out of the Army. I was looking for answers and solutions, and none was there but ones that make me live a life that was not what I wanted. vernight my pain was put in check, reduced immensely, my back felt relaxed and not like I was one move away from getting a major surgery. Life feels better once again. I am religious about doing my Big 3 twice daily and getting my walks in. I started lifting again and has got back on track after taking months off. I thank you (ed: Brian Carroll) and Dr. McGill for this. Cathryn Jakobson Ramin / American journalist, investigative reporter, and author. 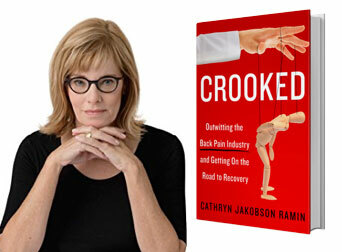 Cathryn Jakobson Ramin, in her back pain industry expose book “Crooked”, calls Professor McGill a “Back Whisperer” with his approaches proved to help so many.